Home » Jesus » What Are Good Sources about Jesus? What Are Good Sources about Jesus? The existence of Jesus of Nazareth, a Jewish teacher from Galilee executed by crucifixion at the order of Pontius Pilate, is well established as historical fact.1 But what can be known about Jesus? What are the best sources of information about what Jesus taught, where he went, what he did, and who he claimed to be? For Christians, the traditional answer has been that the best such sources are the four Gospels in the New Testament, entitled the Gospels according to Matthew, Mark, Luke, and John. In modern times, however, many people have challenged the reliability of these books and have often touted other writings as superior sources of information about Jesus. If we are to know the truth about Jesus, we need to know from what sources we can most reliably learn about him. Please note that the question we are asking the sources to answer is an historical one: What did the first-century Galilean Jew known as Jesus of Nazareth actually claim, teach, and do? This is a different sort of question than asking how Jesus makes people feel, what he means to them personally in their own spiritual quests, or what their religion teaches about Jesus. Religious texts about Jesus are valuable sources of information about the people who wrote them, regardless of what those people actually knew about Jesus of Nazareth. This is even true of the New Testament Gospels: They tell us something about the authors who wrote them and what they believed. The issue is what sources, if any, are good sources of information not only about the beliefs of their authors but also about the historical facts pertaining to Jesus himself. Modern apocryphal texts about Jesus, such as the Book of Mormon, the Life of Saint Issa, and the Aquarian Gospel of Jesus the Christ. We will compare these books by asking the following questions about each of them: (1) What do we know about the origins and history of the text? (2) What do we know about who wrote it and when it was written? (3) What sort of book is it (its genre)? (4) How does its account of Jesus fit with what we know from external sources about Jesus and his historical context? An obvious question to ask about any book purporting to provide information about the past is how this book became available for us to read. Historians routinely investigate the origins and history of any text as a preliminary step in determining its value for gaining knowledge about its subject matter. With regard to the New Testament Gospels, several fragments containing portions of varying lengths from the Gospels have been found that date to the second or early third century, and complete copies of all four Gospels dating from the fourth century and thereafter. Some specific examples will help make the picture clearer. The Sackler Library at Oxford University houses a papyrus fragment containing part of Matthew 21 in Greek (known as P104) and another fragment containing part of John 18-19 in Greek (known as P90), both of which date to the middle of the second century. The John Rylands Library in Manchester, England, holds another papyrus fragment containing part of John 18 in Greek (known as P52) that is dated to the first half of the second century. A nearly complete copy of John dated to about 200, known as P66, is one of the Bodmer Papyri kept at the Bodmer Library in Cologny, Switzerland. The earliest surviving papyrus containing sizable portions of all four Gospels is P45, dated to the middle of the third century, pages of which are shared by libraries in Dublin and Vienna. Our earliest complete copies of the Gospels in Greek are in the Codex Sinaiticus and Codex Vaticanus, both produced in the fourth century. The consensus among biblical scholars is that the four Gospels were all originally written in Greek, though Matthew may have drawn from an earlier source written in Hebrew or Aramaic. This means that we have complete copies of the four Gospels in their original language dating about three centuries after Jesus’ death, with multiple fragments of earlier copies dating as early as a century or so after his death. The picture with the other books that purport to tell about Jesus is not nearly so bright. Let’s start with the Gnostic texts and other ancient writings about Jesus that are sometimes called apocryphal (meaning “hidden” because they aren’t in the New Testament) gospels. The most widely cited of these is the Gospel of Thomas. Our only ancient copies of this book, which most scholars think was originally written in Greek, consist of a fourth-century Coptic manuscript containing a preface and 114 “sayings,” and three Greek fragments dating from the third century that combined contain about 21 of those 114 sayings. And this is actually pretty good compared to the other ancient apocryphal gospels. The Gospel of Peter, for example, is known only from an incomplete copy in Greek in a papyrus book dated between the seventh and ninth centuries and two very small fragments in Greek that may be of the Gospel of Peter, from a copy made around the year 200.5 The Gospel of Mary survives only in a fifth-century Coptic translation that is missing more than half of the text and in two third-century Greek fragments, each containing only a fraction of material paralleling the Coptic version.6 In short, there are no complete or even mostly complete copies of any of these books in their original language of Greek, and in most cases no complete copies even in another ancient language. For the New Testament Gospels the ancient textual evidence is extensive, for the ancient apocryphal gospels it is meager, and for the medieval and modern apocryphal works it is non-existent. To summarize the wealth of data surveyed here, we may compare the textual evidence for the various books as authentic ancient writings as follows: for the New Testament Gospels the ancient textual evidence is extensive, for the ancient apocryphal gospels it is meager, and for the medieval and modern apocryphal works it is non-existent. Until modern times, writers often failed to identify themselves by name and very rarely gave a specific date for their texts. This means that scholars must consider evidence that bears directly or indirectly on the question of the authorship and date of any apparently ancient work. The task can become controversial if a book claims to have been written by a particular individual but other evidence appears to rule out that claim. The four New Testament Gospels contain no statements within the body of those writings identifying their authors by name. The author of Luke and Acts refers to himself in the first person when addressing his primary intended reader Theophilus (Luke 1:3; Acts 1:1) and includes himself as one of Paul’s traveling companions (Acts 16:10-17; 20:5-21:18; 27:1-28:16), but otherwise never refers to himself. The author of John refers to himself as a special disciple close to Jesus who was an eyewitness (John 18:15-16; 19:26-27, 35; 20:2-8; 21:7, 20-25) but never gives his name. The authors of Matthew and Mark say nothing whatsoever to identify themselves. Thus, whatever one may say about the authorship of the Gospels, they cannot be accused of being fraudulent. As Michael Patton has asked, “If the Gospel authors were fabricating, lying, just making it all up, why remain nameless? …If these were fabrications, why not claim the name of someone close to Christ to give these more credibility?”11 Patton’s question is a good one because that is exactly what a lot of other books did, as we shall see. The mainstream critical dates for the Gospels are all consistent with the traditional identifications of their authors. According to reports originating in the early second century, Mark was a traveling companion first of Paul and later of Peter, and wrote his Gospel based on Peter’s recollections about Jesus. It would be quite understandable if Mark had finished his Gospel in the late 60s or early 70s, shortly after Peter’s death around AD 66. The same traditions report that Matthew wrote either the Gospel of Matthew or an earlier Hebrew (or possibly Aramaic) text on which the Greek Gospel was based. The Gospel might easily have been compiled and finished in the late 70s or 80s based on an earlier text, if Matthew did not the Gospel himself. Luke, who had been a companion of Paul in the late 50s, might have written his Gospel and the book of Acts at any time over the next 25 years or so. This leaves the Gospel of John, for which the matter is somewhat more complicated due to uncertainty as to whether “John” was the son of Zebedee or someone else named John. Whoever he was, he states explicitly that he was an eyewitness (John 19:35; 21:24-25), which would make his writing in the 90s possible if somewhat surprising. “I, Thomas the Israelite, make this report to all of you, my brothers among the Gentiles…” (opening words of the Infancy Gospel of Thomas). “But I, James, the one who has written this account in Jerusalem, hid myself away in the wilderness…” (Proto-Gospel of James 25.1, in the conclusion). “These are the hidden sayings that the living Jesus spoke and Didymus Judas Thomas wrote down” (opening statement in the Gospel of Thomas). “But I, Simon Peter, and my brother Andrew, took our nets and went off to the sea” (Gospel of Peter 58). “The secret words of revelation that Jesus spoke with Judas Iscariot in the course of eight days, three days before he celebrated Passover” (opening statement in the Gospel of Judas). The table below places all of the books discussed here (and their first known copies) in chronological perspective. We may now sum up our findings with regards to the dates of these various books. The New Testament Gospels were all written within about 25 to 65 years after Jesus’ death, while at least some eyewitnesses to his life would still be alive. The ancient apocryphal gospels were all written roughly one or two centuries after Jesus died, though a minority of scholars date the Gospel of Thomas around the end of the first century (and thus perhaps around the time the Gospel of John was likely written). The Gospel of Barnabas was written in the 1300s, more than a millennium later than the New Testament Gospels. The other books, such as the Book of Mormon, Life of Saint Issa, and Aquarian Gospel of Jesus the Christ, were written and published in the nineteenth and early twentieth centuries. In short, the New Testament Gospels were written very close to the time of Jesus, the apocryphal gospels were ancient but later writings, and the rest of the books were written many centuries too late to serve as primary sources for the life and teachings of Jesus. The term genre refers to a text’s literary type—what kind of writing it is. Familiar genres in the Bible include historical narratives, legal texts, songs, proverbs, oracles, and letters, among others. If we want reliable historical information about Jesus, it makes sense to look especially for books that are historical narratives of some kind, especially biographies. The Aquarian Gospel of Jesus the Christ presents itself as a biography, but in this case a decidedly modern one, correcting the implicitly supposed deficiencies of the New Testament Gospels. Thus, much of the book is taken up with extrabiblical material about Jesus’ infancy and childhood (chaps. 7-12, 16-20) and his young adult years in India, Persia, Assyria, Greece, and Egypt (chaps. 21-60). The Aquarian Gospel then narrates Jesus’ ministry in Palestine (chaps. 65-158), his death and resurrection (chaps. 159-80), and the beginning of the “Christine Church” (chaps. 181-82). Jesus’ resurrection appearances include several of the ones found in the New Testament Gospels as well as appearances to religious and political leaders in Jerusalem, India, Persia, Greece, Rome, and Egypt. In short, the New Testament Gospels are genuine ancient biographies of Jesus. The other books either make no pretense of being biographies, are medieval or modern imitations of the Gospels, or are fictions that present themselves as biographies but in a fashion that betray their modern origin. It is neither realistic nor necessary to demand proof that everything recorded in an historical source actually occurred. Such an expectation would be especially unrealistic with regard to ancient historical events in the life of a particular individual, whether that person was Julius Caesar or Jesus Christ. What we can ask is how well the narrative reflects the historical context of the individual in those matters that can be checked from external sources. Does the narrative refer accurately but without affectation to real physical locations and real people known from outside the text? Does it reflect what we know of the cultural, religious, philosophical, and technological contexts of that place and time? In these aspects the New Testament Gospels shine far brighter than any other alleged sources of information about Jesus of Nazareth.33 The geographical environment of Jesus’ life is richly yet unobtrusively highlighted throughout the Gospels in its references to cities (Jerusalem, Capernaum), political regions (Judea, Galilee), waters (Jordan River, Sea of Galilee), and even specific structures in Jerusalem (Praetorium, Pool of Siloam). The Gospels refer to several historical personages known from non-Christian sources, such as John the Baptist, Herod the Great and his sons—most notably Herod Antipas, who had John beheaded—and Pontius Pilate. Luke even dates in classic Greek historiographic style the beginning of the ministry of John the Baptist by identifying the year of Tiberius Caesar and who the various other rulers were at the time (Luke 3:1-2). The Gospels feature such religious groups as the Pharisees and Sadducees, known especially from the late first-century Jewish writer Josephus, and such institutions as the Sanhedrin, the Jewish council in Jerusalem, the Temple in Jerusalem, and the synagogues, which were local assemblies in various towns and villages. The Gospels effortlessly set the cultural scene of Jesus’ ministry accurately as taking place among Jews chafing under the oppressive rule of the Roman Empire. In that setting, Jesus’ teaching about the kingdom of God had pointed relevance. While Jesus engaged other Jews in controversy, the Gospels report his basic theology to be traditional Jewish theology especially close to that of the Pharisees: the Lord was the one God who created and ruled the heavens and the earth, who had made Israel his people in fulfillment of his promises to the patriarchs, and who would raise the dead at the end of the age for them to face eternal judgment. Within this shared, traditional Jewish worldview, Jesus commented on the same sorts of issues being discussed by Pharisees and other Jewish teachers in the first century.34 These issues included the keeping of the Torah (“Law”); moral expectations concerning marriage, adultery, and divorce; how to handle conflicts with the Gentiles and other enemies in their midst; the standards of genuine piety in such areas as almsgiving, tithing, prayer, oaths, and fasting; matters pertaining to ritual purity and impurity, food laws, and the Sabbath; and the paying of taxes, especially to support the Roman authorities. While many or most of these issues might come up in other cultures, the constellation of these issues as a whole and the ways in which they are addressed in Jesus’ teaching are quite specific to that first-century Jewish society in Galilee and Judea. The situation is rather different with the other books we have been considering. The further forward in time from the first century these books originated, the less likely they are to be historically or culturally credible accounts of Jesus, and the evidence bears out this premise. We have already noted Karen King’s observation that the intellectual milieu of the Gospel of Mary was more that of Greek philosophy (Platonism and Stoicism) than of Judaism. This assessment is broadly true of all of the “Gnostic” gospels, although the point should be somewhat qualified: Gnostic-type thinking was syncretistic (drawing elements from different religious and philosophical sources) and as such also drew on Jewish texts and ideas.35 The physical environment of Jesus’ life is virtually nonexistent in the ancient apocryphal gospels: in the four gospels named for Thomas, Peter, Mary, and Judas combined there are references to only three specific places (Jerusalem, Judea, and Joseph’s Garden), compared to the dozens of locations named in the New Testament Gospels. To be fair, this is because, as pointed out earlier, the apocryphal gospels were not really intended to provide biographical information about Jesus. These texts feature verbal exchanges between Jesus and a few of his disciples and little else, giving them relatively little grounding in the larger historical and cultural context. The Gospel of Barnabas, as an elaborate harmony of the Gospels, retains much of their geographically, historically, and culturally appropriate references. However, its anachronistic Muslim perspective is evident in its denials that Jesus was the Son of God, its blaming the apostle Paul for propagating the distorted view of Jesus taught in Christianity, its quotations of Jesus prophesying about Muhammad, and its claim that Judas was crucified rather than Jesus. These claims were all standard Islamic polemical arguments against Christianity developed in the medieval era. On the other hand, the Gospel of Barnabas varies from both Christian doctrine and standard Muslim doctrine by identifying Muhammad, rather than Jesus, as the Messiah.36 Such a “mixed” result is actually rather common in apocryphal literature, which are intentionally innovative. The Aquarian Gospel of Jesus the Christ also has some features of a harmony of the Gospels, but in expanding on the Gospels with new material the author made a number of factual mistakes. For example, the first verse states that before Mary was born, “Augustus Caesar reigned and Herod Antipas was ruler of Jerusalem,” when in fact Herod the Great ruled in Jerusalem at the time and his son Herod Antipas later became tetrarch of Galilee. New Testament scholar Edgar Goodspeed, in his brief but incisive critique, made the droll comment, “This opening sentence of the new gospel does not encourage very high hopes as to its historical value.”37 More broadly, the book reflects thought characteristic of modern Western culture, specifically Dowling’s immersion in the metaphysical or New Thought movement. Jesus is transformed into a great teacher has traveled the world, mastered the philosophies of the great ancient cultures, and showed humanity the enlightened way. The Book of Mormon also creates another sort of cultural discrepancy by its account of Jesus going outside of Galilee and Judea and appearing to the Nephites somewhere in the Americas. Shortly after arriving, Jesus is quoted as preaching the Sermon on the Mount, closely following the version in Matthew 5-7, and specifically following the wording of the King James Version (3 Nephi 12-14). This is a literary anachronism since Matthew gives just one version of the speech that Jesus had given in Galilee; another version of the same speech appears in Luke 6:20-49. The whole passage is also culturally anachronistic because the Sermon reflects the specific context of first-century Galilee under Roman rule and strongly influenced by Greek culture. In 3 Nephi 12, based on Matthew 5, despite heavy editing the Book of Mormon presents Jesus engaging controversial issues in the interpretation of the Torah current in that Old World context, particularly among the Pharisees, that were unlikely to have been issues, or to have been framed in the same way, in the supposed Nephite context. The six-fold pattern of sayings, “You have heard that it was said…But I say to you” (Matt. 5:21-48), arise in the context of Jesus’ critique of the Pharisees’ handling of the Mosaic Law. This judgment applies with even greater force when considering medieval and modern fictional “gospels” such as the Gospel of Barnabas, Third Nephi in the Book of Mormon, or the Aquarian Gospel of Jesus the Christ. These are valuable sources of information about the people who wrote them and the communities that embrace them, but they are not valid sources of historical information about Jesus. If we want to know the facts about Jesus, then, we need to go to the New Testament Gospels. 1. See Part 1 of this series: Robert M. Bowman Jr., “Did Jesus Exist?” (Cedar Springs, MI: Institute for Religious Research, 2017), for an up-to-date survey of the evidence and answers to common objections. 2. Colin J. Humphreys and W. G. Waddington, “Astronomy and the Date of the Crucifixion,” in Chronos, Kairos, Christos, ed. Jerry Vardaman and Edwin M. Yamauchi (Winona Lake, IN: Eisenbrauns, 1989), 165–81; Harold W. Hoehner, “The Chronology of Jesus,” in Handbook for the Study of the Historical Jesus, ed. Tom Holmén and Stanley E. Porter (Leiden: Brill, 2011), 3:2315–60. 3. Bart D. Ehrman and Daniel B. Wallace, “The Textual Reliability of the New Testament: A Dialogue,” in The Reliability of the New Testament: Bart D. Ehrman and Daniel B. Wallace in Dialogue, edited by Robert B. Stewart (Minneapolis: Fortress Press, 2011), 21. 4. Bart D. Ehrman, The New Testament: A Historical Introduction to the Early Christian Writings, 5th ed. (New York: Oxford University Press, 2012), 26. Ehrman removed this statement from the 6th edition without any explanation. 5. John Dominic Crossan, The Cross that Spoke: The Origins of the Passion Narrative (San Francisco: Harper & Row, 1988), 3–9. For the argument that the Greek fragments are not of the Gospel of Peter, see Paul Foster, “Are There Any Early Fragments of the So-Called Gospel of Peter?” New Testament Studies 52 (2006): 1–28; “The Disputed Early Fragments of the So-Called Gospel of Peter—Once Again,” Novum Testamentum 49 (2007): 402–406. 6. Christopher M. Tuckett, The Gospel of Mary (Oxford: Oxford University Press, 2007), 5–9, 79–85; Karen L. King, The Gospel of Mary of Magdala: Jesus and the First Woman Apostle (Santa Rosa, CA: Polebridge Press, 2003), 8. 7. The Gospel of Barnabas: Edited and Translated From The Italian Ms. In The Imperial Library At Vienna: With A Facsimile, by Lonsdale and Laura Ragg (Oxford: Clarendon Press, 1907); Jan Joosten, “The Date and Provenance of the Gospel of Barnabas,” Journal of Theological Studies 61 (2010): 200–215; Gerard A. Wiegers, “Gospel of Barnabas,” in Encyclopaedia of Islam, edited by Kate Fleet, Gudrun Krämer, Denis Matringe, John Nawas, and Everett Rowson, 3rd ed. (Leiden, Netherlands: Brill Online, 2014). 8. See the telling title of the scholarly Mormon edition produced by Royal Skousen, The Book of Mormon: The Earliest Text (New Haven, CT: Yale University Press, 2009). For a response to one Mormon scholar’s attempt to argue that the existence of only a modern English translation does not invalidate the Book of Mormon as authentic, see Robert M. Bowman Jr., “The Book of Mormon and Other Translated Documents” (Cedar Springs, MI: Institute for Religious Research, 2016). 9. H. Louis Fader, The Issa Tale that Will Not Die: Nicholas Notovich and His Fraudulent Gospel (Lanham, MD: University Press of America, 2003), 1–82. An alternate spelling of the writer’s Russian name is Nicolai Notovich. 10. Levi H. Dowling, The Aquarian Gospel of Jesus the Christ: The philosophic and practical basis of the religion of the Aquarian age of the world and of the church universal: Transcribed from the book of God’s remembrances, known as the Akashic records, with introduction by Eva S. Dowling (Los Angeles: Leo W. Dowling; London: L. N. Fowler, 1911 [copyright 1907]). 11. Michael Patton, “The Problem of the Nameless Gospels,” Credo House (blog), Feb. 10, 2016. 12. See, for example, the entries on each of the four Gospels in The Anchor Bible Dictionary, David Noel Freedman, editor-in-chief, 6 Vols. (New York: Doubleday, 1992); The Oxford Encyclopedia of the Books of the Bible, Michael D. Coogan, editor-in-chief (Oxford: Oxford University Press, 2011); and Dictionary of Jesus and the Gospels, edited by Joel B. Green, Jeannine K. Brown, and Nicholas Perrin, 2nd ed. (Downers Grove, IL: InterVarsity Press, 2013). The first of these reference works is fairly mainstream, the second heavily tilted toward the liberal side, and the third clearly evangelical though not arguing for extremely early dates. The agnostic Ehrman, in what is now the standard secular introduction to the New Testament, likewise dates Mark around AD 70, Matthew and Luke in the early 80s, and John in the early 90s: Bart D. Ehrman, The New Testament: A Historical Introduction to the Early Christian Writings, 6th ed. (New York: Oxford University Press, 2016), 100. 13. Craig L. Blomberg, The Historical Reliability of the New Testament: Countering the Challenges to Evangelical Christian Beliefs, B&H Studies in Christian Apologetics (Nashville: Baker Academic, 2016), 17, 18. 14. Bart D. Ehrman, Lost Scriptures: Books that Did Not Make It into the New Testament (New York: Oxford University Press, 2003), 7–89. 15. E.g., Howard Clark Kee, in The Cambridge Companion to the Bible, Bruce Chilton, general editor, 2nd ed. (New York: Cambridge University Press, 2008), 653–54. Nicholas Perrin, Thomas and Tatian: The Relationship between the Gospel of Thomas and the Diatessaron, Academia Biblica 5 (Atlanta: Society of Biblical Literature; Leiden: Brill, 2002); Thomas: The Other Gospel (Louisville, KY: Westminster John Knox Press, 2007), argued for a date for the Gospel of Thomas in the last quarter of the second century, but his case has garnered little support except from some conservative evangelicals, e.g., Craig A. Evans, Fabricating Jesus: How Modern Scholars Distort the Gospels (Downers Grove, IL: IVP Books, 2006), 63–77. 16. For these quotations see The Apocryphal Gospels: Texts and Translations, by Bart D. Ehrman and Zlatko Pleše (Oxford: Oxford University Press, 2011), 11, 71, 311, 387, 395. 17. Elaine H. Pagels, Beyond Belief: The Secret Gospel of Thomas (New York: Random House, 2003), 79. Pagels thinks no one knows who wrote the Gospel of John, either. 18. Karen L. King, The Gospel of Mary of Magdala: Jesus and the First Woman Apostle (Santa Rosa, CA: Polebridge Press, 2003), 184. 19. Crossan, The Cross that Spoke, 3–9. 20. Gospel of Barnabas, ed. and trans. by Ragg and Ragg, 3. 21. Citing the most recent (2013) edition. 22. Per Beskow, Strange Tales about Jesus: A Survey of Unfamiliar Gospels, 2nd ed. (Philadelphia: Fortress, 1985), 12; Joosten, “Date and Provenance of the Gospel of Barnabas,” 209–10. 23. Fader, The Issa Tale that Will Not Die; see also the helpful overview in Douglas Groothuis, Jesus in an Age of Controversy (Eugene, OR: Harvest House, 1996), 122–46. 24. Beskow, Strange Tales about Jesus, 75–80. 25. For a literate introduction from a Mormon perspective that includes some discussion about LDS defenses of the Book of Mormon, see Terryl L. Givens, The Book of Mormon: A Very Short Introduction (Oxford: Oxford University Press, 2009). Essays representative of Book of Mormon apologetics appear in Echoes and Evidences of the Book of Mormon, edited by Donald W. Parry, Daniel C. Peterson, and John W. Welch (Provo, UT: Foundation for Ancient Research and Mormon Studies—Brigham Young University, 2002). For a Christian survey of the subject, see Robert M. Bowman Jr., “Book of Mormon Apologetics: How Mormons Defend the Book of Mormon,” An Introduction to the Book of Mormon, Part 6 (Cedar Springs, MI: Institute for Religious Research, 2017). 26. These points are developed at great length in Robert M. Bowman Jr., “The Sermon at the Temple in the Book of Mormon: A Critical Examination of Its Authenticity through a Comparison with the Sermon on the Mount in the Gospel of Matthew,” Ph.D. diss. (South African Theological Seminary, 2014). For a brief overview of the matter with links to recent articles on these issues, see Robert M. Bowman Jr., “A Biblical Scholar Looks at the Book of Mormon” (Cedar Springs, MI: Institute for Religious Research, 2016). See also Ronald V. Huggins, “The Book of Mormon: Another Bible or Another Bible Forgery? Part 1,” Salt Lake City Messenger 127 (Nov. 2016): 1–19. 27. The rest of this paragraph is adapted from Bowman, “Sermon at the Temple,” 176–77. 28. Richard A. Burridge, What are the Gospels? A Comparison with Graeco-Roman Biography, 2nd ed. (Grand Rapids: Eerdmans; Dearborn, MI: Dove Booksellers, 2004). 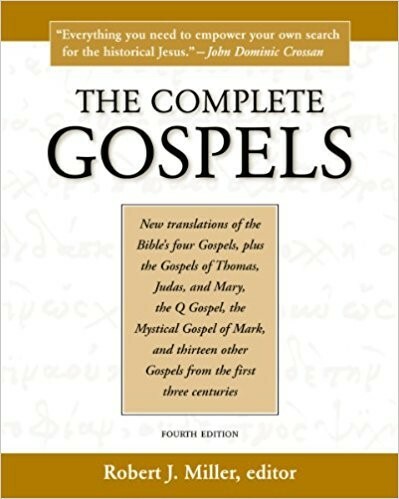 Ehrman, New Testament: A Historical Introduction, 97–101, acknowledges that the Gospels are ancient biographies but suggests that such literature was not particularly concerned with giving factual accounts, citing Plutarch’s Lives as an example. For an interesting counterpoint, see Michael R. Licona, Why Are There Differences in the Gospels? What We Can Learn from Ancient Biography, Foreword by Craig A. Evans (Oxford University Press, 2017). Licona identifies several “compositional devices” that the Gospels appear to have in common with such ancient biographers as Plutarch. According to Licona, these devices introduced some artistry into the accounts but not in a way that made them historically unreliable. 29. Certainty about the genre of the Gospel of Peter is elusive because so much of the book is missing. See Justin Marc Smith, Why βίος? On the Relationship between Gospel Genre and Implied Audience, Library of New Testament Studies 518 (London: Bloomsbury T&T Clark, 2015), 123. As Burridge points out, some of the Jewish-Christian “gospels” probably were biographical in genre, but unfortunately no substantial copies of these works are extant; Burridge, What Are the Gospels, 242. 30. King, Gospel of Mary of Magdala, 30. 31. Oddbjørn Leirvik, “History as a Literary Weapon: The Gospel of Barnabas in Muslim-Christian Polemics.” Studia Theologica—Nordic Journal of Theology 56 (2002): 5 (4-26). 32. An objective (not critical) overview is given in Robert M. Bowman Jr., “Contents of the Book of Mormon,” An Introduction to the Book of Mormon, Part 2 (Cedar Springs, MI: Institute for Religious Research, 2017). 33. Contemporary academic commentaries on the Gospels discuss these contextual aspects in fine detail. See also the numerous relevant entries in Dictionary of Jesus and the Gospels, ed. Joel B. Green and others (cited earlier), and NIV Cultural Backgrounds Study Bible: Bringing to Life the Ancient World of Scripture, edited by John H. Walton and Craig S. Keener (Grand Rapids: Zondervan, 2016). 34. The rest of this paragraph is adapted from Bowman, “Sermon at the Temple,” 166. 35. See further Robert M. Bowman Jr., “Who Were the Ebionites and the Gnostics?” Areopagus Journal (Winter 2012). 36. Beskow, Strange Tales about Jesus, 13-14; Leirvik, “History as a Literary Weapon,” 6-9. 37. Edgar J. Goodspeed, Famous Biblical Hoaxes or, Modern Apocrypha (Boston: Beacon Press, 1956), 17. 38. The two dominant approaches to a Mesoamerican setting are represented by John L. Sorenson, The Geography of Book of Mormon Events: A Source Book (Provo: FARMS, 1990); Mormon’s Map (Provo, UT: FARMS, 2000), and Joseph L. Allen and Blake J. Allen, Exploring the Lands of the Book of Mormon, rev. ed. (American Fork, UT: Covenant Communications, 2011). Sorenson’s has far more support among LDS scholars. 39. There are some forty or more such statements in the Book of Mormon (1 Ne. 1:16; 6:1, 3, 5; 8:30; 9:1; 10:15; 14:30; 17:6; 19:3, 6; 2 Ne. 4:14; 5:4; 11:1; 31:1; 33:1, 3; Jacob 1:2; 3:13; 4:1-2; 7:27; Jarom 1:1-2, 14; Omni 1:4, 9; Words of Mormon 1:5-6; Mosiah 1:8; 8:1; Alma 8:1, 3; 9:34; 11:46; 13:31; Helaman 3:14; 5:13; 14:1; 3 Ne. 5:8, 18; 7:17; 26:6; Mormon 8:5, 23; 9:33; Ether 1:3-5; 3:17; 12:24-25, 40; 15:33). 40. See the entries on “Autosacrifice and Bloodletting” and “Cannibalism” in The Oxford Encyclopedia of Mesoamerican Cultures: The Civilizations of Mexico and Central America, Davíd Carrasco, editor-in-chief (Oxford: Oxford University Press, 2001), 1:64–66, 137–39. On Alma 36, see Robert M. Bowman Jr., “Alma 36: Ancient Masterpiece Chiasmus or Modern Revivalist Testimony?” (Cedar Springs, MI: Institute for Religious Research, 2016). 41. See Bowman, “Sermon at the Temple,” 479-656. 42. Obviously, historical studies of Jesus based on the Gospels could be very good, but these would be secondary sources, not primary sources. 43. Evans, Fabricating Jesus, 98–99. 44. James D. Tabor, The Jesus Dynasty (New York: Simon & Schuster, 2006), 43. 45. Blomberg, Historical Reliability of the New Testament, 604. 46. John P. Meier, Jesus: A Marginal Jew: Rethinking the Historical Jesus, Volume 1: The Roots of the Problem and the Person, Anchor Reference Bible Library (New York: Doubleday, 1991), 140–41. Part 1 - Did Jesus Exist? Part 2 - What Are Good Sources about Jesus? Part 3 - Did Jesus Visit Other Parts of the World? Part 4 - Was Jesus Born of a Virgin? Part 5 - Did Jesus Die on the Cross? Part 6 - Did Jesus Rise from the Dead? Part 7 - Did Jesus Perform Miracles? Part 8 - Was Jesus Married?